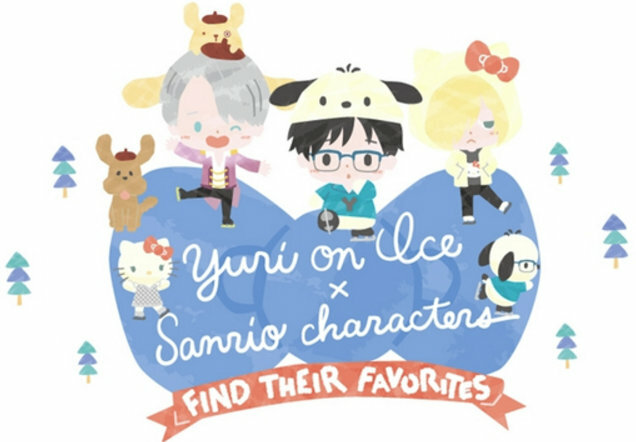 The theme of the collaboration is "FIND THEIR FAVORITES," and includes a story about Yuri, Viktor, and Yurio searching for things that are important to them during the off season. The art for the campaign is being presented in a retro picture-book style. Each is also paired with a Sanrio favorite: Yuri with Pochacco, Viktor with Pompompurin, and Yurio with Hello Kitty. 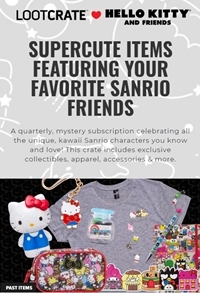 Merchandise will go on sale this summer, including apparel, stationery, and home items.